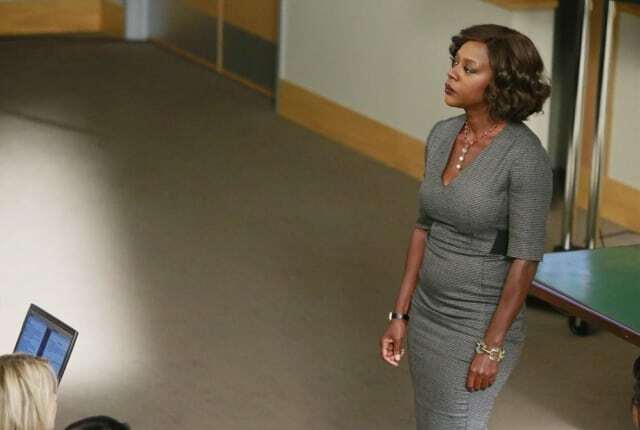 Watch How to Get Away with Murder Season 1 Episode 15 online via TV Fanatic with over 7 options to watch the How to Get Away with Murder S1E15 full episode. Affiliates with free and paid streaming include Amazon, iTunes, Vudu, Netflix, YouTube Purchase, Google Play, and Verizon On Demand. Annalise and the students put Rebecca on trial for the murder of Lila Stangard on How to Get Away with Murder Season 1 Episode 15, but did she really do it? Let's have the trial. You've all convinced yourselves that we were wrong, that Sam didn't kill Lila, that we got Rebecca off for nothing. And you feel unfairly persecuted, trapped. I don't blame you. So let's be fair to everyone and figure it out once and for all. Lets finally give Rebecca her day in court. Untape her hands, too. We're not monsters! We don't tie people up and hold them captive against their will. Who've you all become?